District Council 58 was established by the International Union of Painter’s and Allied Trades on March 13, 1966. 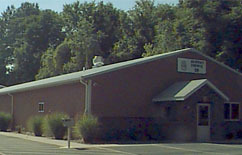 In 1997 the original District Council expanded, from predominately the metro-east area around Collinsville, through Central and Southern Illinois. In March of 2014 the territory expanded to encompass the eastern half of Missouri. District Council 58 now serves 20 locals within its jurisdiction. Through guidance from the International in 1997 locals 32, Carterville Illinois, 90, Springfield Illinois, 124, Centralia Illinois, 288, Decatur Illinois, 363 , Champaign Illinois, 1168, Springfield Glaziers, 1705, Robinson, Illinois became fully affiliated with local 2007, Jacksonville Bookbinders joining the process in 1999. In 2014 the Missouri locals 115, St. Louis Missouri, 513, St. Louis Glaziers, 774, St. Louis Missouri, 1156, St. Charles Missouri, 1185, Holts Summit Missouri, 1199, Jefferson County Missouri, 1292, Cape Girardeau Missouri and 2341, St. Louis were added. District Council 58 has 23 full time representatives that service and assist it’s 4,000 plus members throughout the 57 southern most Illinois counties and 62 counties in Missouri. The District Council consists of 1 Bookbinder local 2007,17 mixed locals with Painters, Industrial Painters and Tapers and 2 Glazier locals. Since 1997 the Council has experienced tremendous growth in both members and assets. DC 58 currently has its headquarters in Collinsville, IL with satellite offices in Springfield, Decatur, Champaign and Carterville and in St. Louis, MO with satellite offices in Holts Summit, Cape Girardeau and St. Charles.. In 2000 the Joint Apprenticeship Program partnered with two Junior Colleges and established a certified program in which apprentices receive college credits for their participation in the four year Apprenticeship program. The Apprenticeship Program has 6 full-time staff members who provide both class work instruction and hands on training in all aspects of our training. District Council 58 is in the process of merging Glaziers LU 513 and all painting locals into one apprenticeship program. Furthermore DC 58 established a curriculum for Journeyman upgrade training and Safety training courses to assist our Contractors in meeting the demands for a safe construction workplace and hold an annual safety recognition picnic to reward members for safety. District Council 58 continues to strive to better the conditions in the workplace for all of its members, and other Brothers and Sisters within organized labor. It is imperative for organized labor to continue its growth within the construction trades and industrial settings to assist in better work and living conditions in society and our communities as a whole. Organized labor played an important part in developing and maintaining the United States of America’s working conditions and workers rights through hard work of our ancestors, and in order to benefit the young people of today it is a must to continue to live with the same moral virtues and work ethics of our ancestors.